The problems known like minimal road's problem or shorter road problem, treat as its name shows to find the minimal or shorter route among two points. 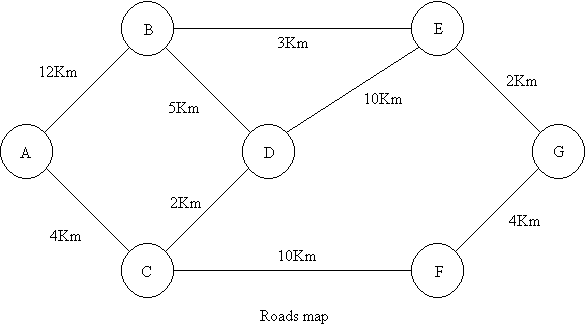 This minimum can be the distance among origin and destination points or else the elapsed time to go the route between that two points. It's usually used in communications networks problems. This kind of problems can be solved by the Simplex Method, however exist another more efficient methods for example Dijkstra algorithm or other case can be Bellman-Ford algorithm.